Easy to use and remarkably accurate, the VS Series of pendulum spreaders is the perfect choice for anyone looking for a reliable spreader. Easily attaches to your favorite Kubota tractor, and with a variety of sizes and options, there’s a model to fit your needs. EASY OPERATION: All VS spreading can be controlled either manually, hydraulically or electrically. The plastic scale on the spreading unit allows continuous adjustment of the application rate in pounds per acre, so the risk of spreading errors is minimal. 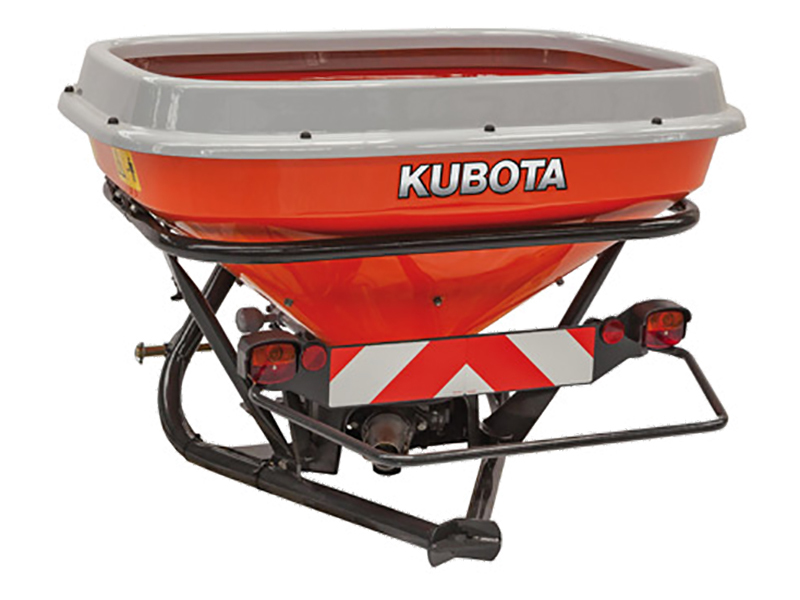 Using the spreading table and the dial you can determine the desired quantity of fertilizer for every spreading width and forward speed. SUPERFLOW SPREADING SYSTEM: The SuperFlow spreading system gives you maximum accuracy in fertilizer application. The pendulum movement of the spout ensures that the application rate is always identical on both sides. This results in a symmetric spreading pattern and an excellent overlap.